The Cascade Youth Symphony Orchestras form an organization (the CYSO) which provides a wholesome and stimulating environment for talented and gifted young musicians. An emphasis is placed on creating an atmosphere that encourages, challenges and develops their fullest potential in the art of performance. Participants benefit from a year-long program designed to nurture their enjoyment of music as well as develop their musical skills and self-confidence. This program consists of a balance of rehearsals, sectional coaching sessions, retreats, and concerts. The CYSO was founded in 1976 as a youth extension of the adult Cascade Symphony Orchestra, headquartered in Edmonds, Washington. By 1985, when Gerry Jon Marsh took over as Musical Director, the orchestra was operating independently from the Cascade Symphony. The organization grew under Gerry's leadership and in 1986 a second orchestra, the Cascade Junior Symphony, was formed as a preparatory group. However, continued growth and improvement in both orchestras created the need for additional preparatory orchestras. In 1990, the Sinfonette, was started for young string players and in 1991 the Wind Sinfonette was formed to complement the Sinfonette, making this beginning group fully capable of orchestral performances, as well as chamber and small ensemble work. Again in 1995, because of the growth in membership and the increase in talent, another orchestra (The Premiere Orchestra) was added. This group provided a transition group for musicians that were beyond the beginning stages but not yet ready for the advanced work now being done by both the Cascade Junior Symphony and the Cascade Youth Symphony. Our latest addition is a Overture Strings group to discover and encourage new string players. 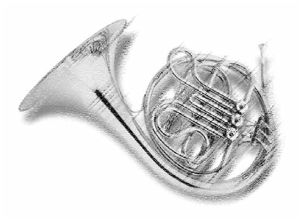 The CYSO provides two additional instrumental programs to musicians in the North King and South Snohomish counties. The first is its Summer Sounds program which provides an opportunity to participate in orchestral and small ensemble groups outside of the school year. The second is the CYSO's International Concert Tours program. This program was started in 1990 and is run every three years. CYSO owns an extensive library of orchestral works including student arrangements, chamber pieces, concerti and major symphonic works. Each year we add new purchases to this library, and in addition to drawing on it for our performances, we frequently lend these works to schools and other organizations in the area. Junior Symphony and Premiere Orchestra perform joint concerts in November and February with the Sinfonette joining in at the February concert. All four groups are showcased at an exciting Spring concert in early May. In addition to the rehearsal and concert events, the Youth Symphony holds a weekend retreat at Warm Beach Camp in January, and the Junior and Premiere groups have an all-day Saturday retreat in November. The Sinfonette group also holds an all-day retreat in April. These retreats are essential to prepare the students for their most challenging performances. Attendance is mandatory for the retreats. Our Overture Strings does not hold auditions and begins their rehearsals the first week of October; their two concerts are scheduled in January and April. The Summer Sounds camps are scheduled in late July and early August with each week of camp providing five full days of orchestra and chamber group rehearsal. Music is recieved on each weeks respective Monday, and after receiving section coaching and group rehearsal an amazing concluding concert is performed that Friday evening. Cascade Youth Symphony is organized as a private non-profit organization incorporated in the city of Edmonds, Washington. We are recognized by the IRS as complying with section 501(c)(3). Our tax identification number is 91-0987047. As such, donations to CYSO are tax deductible to the full extent provided by law. If you would like to contribute to the organization, please contact our office.